Will El Chapo’s Arrest Change The War On Drugs? 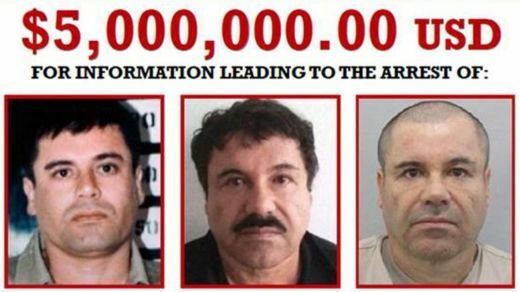 What impact will the capture of ‘El Chapo’ really have in the War On Drugs? The United States Government is touting the capture of ‘El Chapo’ as a decisive victory in the War On Drugs. What impact will his arrest really have? Let’s think about that for a moment, before we jump on the “Yay ‘Merica” bandwagon. For one thing, he is being held at Altiplano Prison, the SAME prison he escaped from last year. How much sense does that make? With an estimated wealth of over a BILLION dollars, and leader of one of the most violent cartels in history, Guzman has little problem using either the carrot or the stick to get what he wants. Though his reward for capture would be a lottery windfall for anyone, he could pay several times over that to stay hidden, and it would barely dent his pocket change. 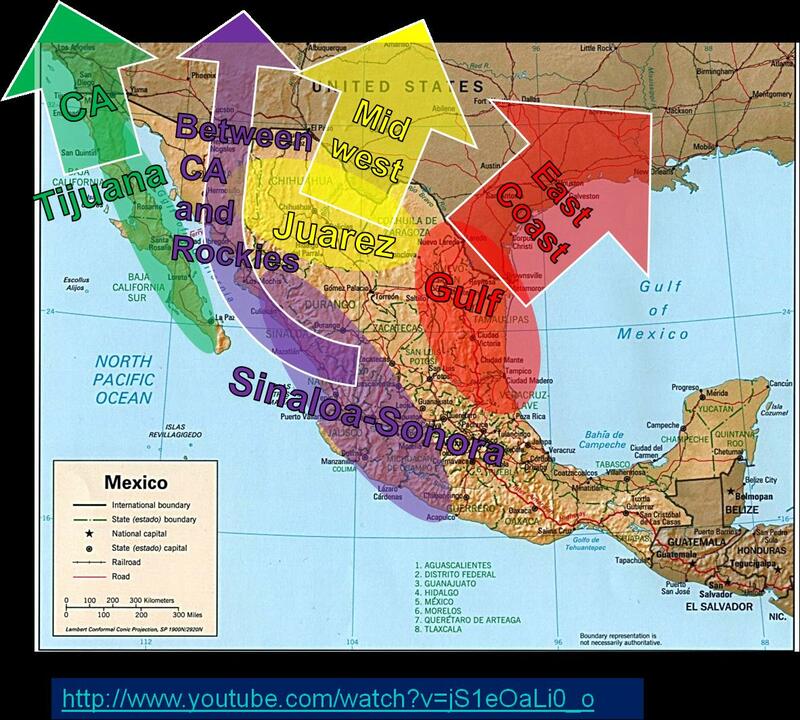 The Sinaloa Cartel… Bigger Than Pablo Escobar. The United States Intelligence Community considers the Sinaloa Cartel “the most powerful drug trafficking organization in the world”. Guzman was dubbed “Public Enemy No. 1” by the Chicago Crime Commission; the only individual to receive that honor since Al Capone. 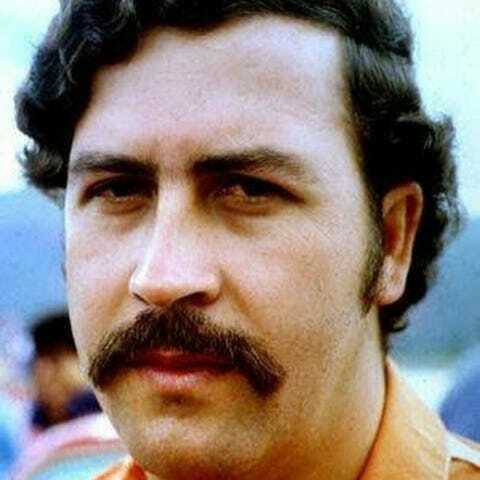 The DEA estimates that he has surpassed the influence and reach of even the notorious Pablo Escobar. The cartel itself has a feudal history; originally known as La Alianza de Sangre, or the “Blood Alliance”. Guzman is one of several high-ranking second-generation members. His predecessor was Miguel Angel Felix Gallardo, leader of the Guadalajara Cartel. Guzman worked his way steadily up the ranks of the organization. In the 1980’s with the factioning of the cartels, and the arrest of Gallardo, Guzman and a couple others rose to power. What Does This Arrest Mean? As far as the Sinaloa Cartel is concerned, there is serious loyalty to their leader, for his effective tactics and ambition. In many parts of Mexico, El Chapo is a folklore hero, often ensuring that his operations run smoothly by donating money to towns and families. Yet, even if he is truly in jail to stay, and somehow cut off from effectively managing the organization from inside, there will always be another ready to take his place. The Sinaloa Cartel is far from the only player in the game, even in Mexico. The not soon forgotten Cartel Wars can attest to that. The greatest effect that any historical event has had on the cartels’ power and operations had not been an arrest, or an operation by our governments. It has been the legalization of marijuana in parts of the United States. With high quality and safe access, there have even been cases of marijuana being smuggled OUT of the US and INTO Mexico. For all their efforts to seize money and weapons, no policy is more effective than taking the black market and making it legitimate. In legal states, the demand for the hard drugs of the cartels has fallen, and their marijuana markets cannot compete with the legal ones for quality or selection. While the politicians like to pat themselves on the back for this “great achievement”, lets put it in perspective. Trying to eliminate the drug runners is like trying to fish the sea dry. Yes they caught a big one, and they love to show it off, but whether they use hook or net, they can’t catch them all. The only way to do that is to ruin the water for all living things, and we all live in these waters. If they legalize, however, they take away the only sustenance these specific fish have, and they fade away naturally. What do you think it would take to get rid of the cartels, once and for all? Let us know! Drop us a line on social media or leave us a message in the comments section below.